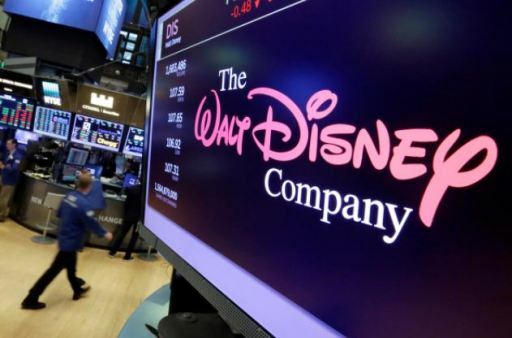 LOS ANGELES (CN) – The producers of a popular children’s series on Disney’s cable channel said Friday that Disney “stealthily plotted and then robbed” them of a hit show, lined up another production company to create the next season and attempted to siphon off their employees. In a 21-page complaint filed in Los Angeles Superior Court, producers Milk Barn and Microseries Inc. allege that Disney cancelled their children’s show “Goldie & Bear” without warning and suspiciously told them their services were no longer needed, even though the show was a first season hit. At that point, plaintiffs allege the media giant had already lined up a rival production company named “Titmouse” to produce the second season of the show. According to the complaint, Disney then lured away employees at plaintiff’s New York office to work for Titmouse by falsely claiming Milk Barn was closing and employees were being transferred. ABC Cable Networks Group and Disney ABC Networks Group are named defendants in the case. An email sent to ABC Disney’s media department was not returned by press time. Milk Barn and Microseries did not return calls requesting comment. ABC Cable Networks Group and Disney ABC Networks Group released the first season of “Goldie and Bear” in 2016 on the Disney Junior Channel. The companies “labored for two years” to create the storylines, animation, storyboards and scripts for Goldie and Bear. Despite what plaintiffs describe as “disastrous decisions” and “interference” from a Disney executive, the show went on to be a success both creatively and in cable ratings. Shortly before the end of the first season, Disney told the producers they would not be brought on for the second season. “In doing so, Disney breached the very contracts the studio itself had drafted” by failing to give plaintiffs written notice and the opportunity to “cure any” issues, the complaint said. Korbelin says he is owed at least $250,000 for his 18 months of work as a day-to-day executive producer of Goldie Bear. The complaint alleges Disney also interfered with Vancouver-based Microseries by transferring all their animation software and hardware to another company, Icon Studios, which had already been operating with Microseries on a joint venture. Disney cut out Microseries and entered into an entirely new production agreement with Icon Studios, stripping the company of “millions in equipment and software” paid for by Korbelin’s company. “By destroying [Korbelin’s] two companies, Disney made it virtually impossible for these companies to ever be in the children’s television or feature business again,” the complaint said. According to a Forbes report from 2017, Disney is worth over $178 billion. Plaintiffs seek $20 million in damages.